In addition to traditional skin care, Botox is a powerful tool in the battle against facial wrinkles. When facial muscles contract, the overlying skin responds with a wrinkle. This action is responsible for the characteristic features of “crow’s’ feet,” forehead furrows, and frown lines. Botox temporarily weakens the muscle that is treated. Areas treated with Botox remain smooth and soft when you smile or frown. The most common misconceptions about Botox is that your face has to look frozen when treated. When properly placed, no one should even know that you were treated. Botox can be invisible, erasing wrinkles, while keeping a natural look to the smile and upper face. Understanding that patients are often best treated using a combination of different fillers and neurotoxins in order to achieve the best result. Dr. Lattman evaluates each patient’s anatomy, needs and concerns in order to determine the areas to treat and fillers to utilize. 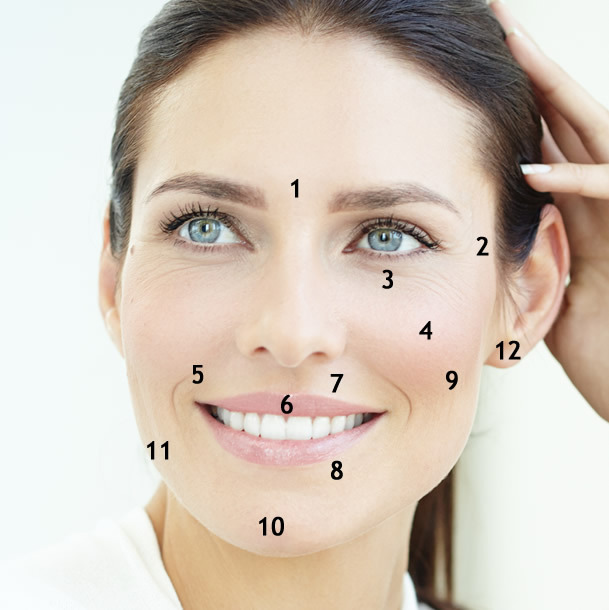 When you come in for Botox, Dr Lattman will evaluate your entire face, the position of your eyebrows and lids and determine how Botox can work best for you. She will also ask you what you want to achieve, and then she will make a plan for the treatment. Botox takes about 5 minutes for the treatment. You can expect to see results within 5-7 days. Results last between 4-5 months, sometimes longer. After the treatment, you may have a small bruise at one of the injection sites, but this is rare. You can resume all normal activities when you leave the office. Dr. Lattman suggests stopping blood thinners such as Advil or Aleve 5 days prior to treatment. This minimizes the risk of a bruise. Botox has many amazing applications that are not often thought of. In addition to improving smile lines, frown lines and forehead wrinkles, Botox can be used to lift a sagging brow, reduce neck bands, and lessen a gummy smile. Dr. Lattman is truly an expert in the “liquid brow lift.” This is when Botox is placed to help lift a fallen brow. This works beautifully for patients who have a mildly low brow, and are not quiet ready for surgery. Dr. Lattman treats depressions and hollows in the face and around the eyes with Injectable fillers. Hyaluronic Acid fillers such as Restylane, Restylane Lyft, Restylane Silk, Juvederm XC, Juvederm Ultra XC, Juvederm Voluma XC, Belotero and Perlane, are used by Dr. Lattman to fill in wrinkles and improve facial contours. Suspended in a gel, hyaluronic acid is naturally found in the body. It works by filling in areas that are depressed or need more volume. Many patients feel confused by all the choices of different fillers. Dr. Lattman will review all the choices at your visit and choose the filler that is right for your needs and skin type. Briefly, the thicker gels work best to build volume in the cheeks and upper face. Less dense fillers work better for under eye hollows, fine wrinkles and for increasing lip volume. New fillers are being developed all the time, and Dr Lattman meets regularly with the product reps to keep up to date on what is cutting edge. She has been injecting fillers for 20 years, so has personally seen the evolution of all the products on the market. In the office, Dr Lattman will assess your facial structure and suggest the filler, or combination of fillers for you. She will also listen to your concerns and then she will formulate a treatment plan. Her aesthetic eye and gentle touch gives her patients a natural look without appearing “done” or “over filled.” The treatment usually takes about 15 minutes and then you will apply a cold compress for about 5 minutes after. Dr. Lattman uses several injection techniques to get the filler exactly where it needs to be, reducing the chance of bruising and swelling. Normal activities can be resumed that day. Some patients request numbing cream which is available in the office. Q: Can Botox and Fillers be injected at the same visit? A: Yes, Botox and facial fillers are compatible and are often used together to give an overall smooth and natural look to the face. In face, studies have shown that the results of HA fillers last longer when combined with a neurotoxin. The combination, often gives a better result than one alone. Q: At what age should I start using injectables to best preserve a youthful look? A: The answer is a personal decision. I see many patients in their late 20’s and early 30’s that start with Botox injections to prevent smile and frown lines from becoming ingrained in their face. I also see patients in their 50’s and beyond who are trying Botox and Fillers for the first time. Fillers are also variable. I see many young patients with under eye hollows and bags that they inherited from their mom or dad. These patients are excellent candidates for under eye filler. In my experience the transformation can be really amazing. I also see many people for the first time in their 40’s when they start to lose facial volume and want to restore their natural beauty. Q: I hate my under eye hollows and bags but I am not ready for surgery. A: As an oculoplastic surgeon, I have a great expertise at treating cosmetic issues around the eyes. I treat many patients with fillers to the lower lid, who have hollows and/or bags who are not ready to have surgery. Under eye fillers are an excellent way to improve the appearance of the lower lids. In this area the filler typically lasts a year or longer. Q: I hate the wrinkles between by eyebrows, but I am scared to get Botox. I am afraid of putting an unknown substance in my body. And I don’t want my friends and work colleagues to know. A: It is very common for patients to feel nervous about Botox treatments. I reassure all my patients that Botox is a time tested medication. It was first used in 1977 to treat lazy eyes in children and in 2002, Botox was approved by the FDA for cosmetic use in the face. When Botox is injected with proper technique, the face appears completely natural. So that no one will know that you were treated. Please reach out to Sophia, our Patient Coordinator, with your photos and questions, via wmail sophia@nyplasticmd.com, by phone at (212) 832-5456, and request a consultation. "Dr Lattman is the best! You can not trust any Doctor for things like Botox and fillers. She has an exceptional eye so that her patients look fantastic but totally natural! That’s the most important. You should just look good, but still like yourself. Her office is gorgeous and her staff is always courteous and lovely. I truly can not say enough good things about her. She is meticulous and a perfectionist when she evaluates what is best for you and always follows up to see if you are happy."